Set amidst one of Bolivia's finest coffee plantations with killer views over Amboro National Park, El Cafetal provides a warm, tropical retreat from the cold altiplano. Situated just outside the lovely township of Buena Vista, 100km north-west of Santa Cruz, El Cafetal offers eight modern family-sized cabins in a beautiful setting. 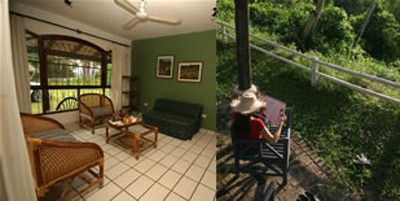 There are four doubles and four suites, all with private bathroom and a refrigerator. 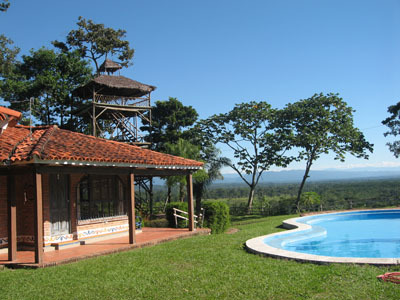 The double rooms open out onto stunning views of the rainforest below, and all have access to the well-manicured lawn, pool and barbecue area. For even more spectacular views, there is a specially constructed look-out that provides panoramic views over the tropical national park. This unique vantage point of 12 meters has been constructed using bamboo poles and from here you can see the Sleeping Giant in the magnificent National Park Amboro. 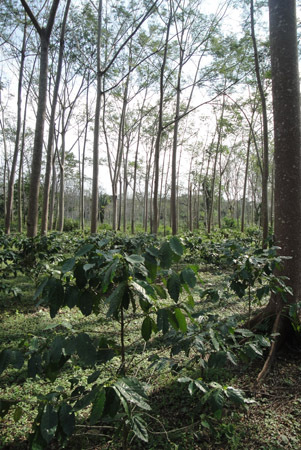 Guests and visitors can take a tour of the coffee plantation either on foot, horseback or by carriage. 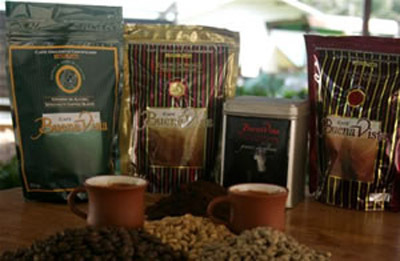 At the end of the tour you are invited to taste different varieties of gourmet coffee at the on-site coffee shop and restaurant "El Cafetal". 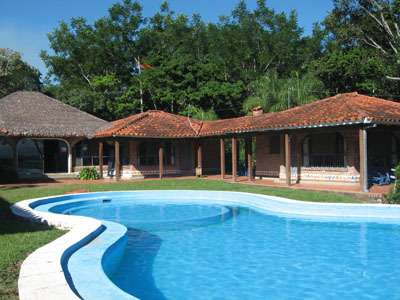 The Rio Surutú is also nearby and guests can enjoy the cool, pure waters and relax on the river's sandy shore. 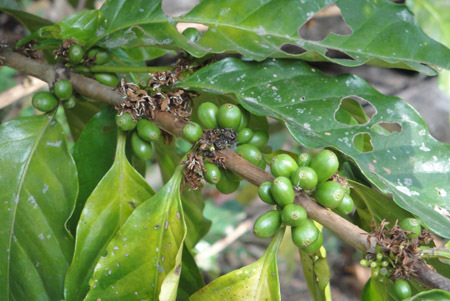 Coffee plantation tours, swimming pool, bbq, coffee shop and restaurant, cabins with private bathrooms and refrigerator, parking, look-out and Wi-Fi.